Stocks ended mixed Friday, as the enthusiasm following a better-than-expected jobs report wore off. 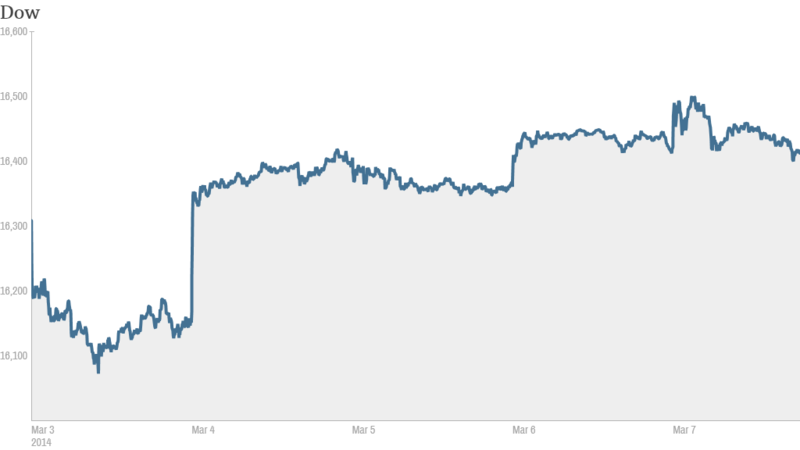 The Dow rose 0.2%, while the S&P 500 added a single point. But that was enough to finish at another record closing high. The Nasdaq ended in the red, as big declines in biotech stocks weighed on the index. Biogen Idec (BIIB)and Vertex Pharmaceuticals (VRTX) fell about 3% each, and Gilead Sciences (GILD) was also down sharply. Biotech stocks have been one of the better performers this year but have recently begun to lose momentum. The iShares Nasdaq Biotechnology index (IBB) was down almost 1% Friday, following a nearly 3% drop on Thursday, prompting some StockTwits traders to wonder if the rally in the sector is over. "Do people think it is normal for large cap companies like $GILD to correct this aggressively?" asked SkepticalBull. "Bubble popping. $IBB." But others argued that this is just a dip for biotech stocks. "$IBB Great buy opportunity here," said MarcianoLoews. The lackluster day comes at the end of a week that started on a down note, as a political and economic crisis in Ukraine intensified and Russia troops got involved. Tensions between Ukraine and Russia continue, though many investors feel that the worst may be over. International leaders have instituted some sanctions against Russia and offered help to Ukraine as they try to resolve the situation. 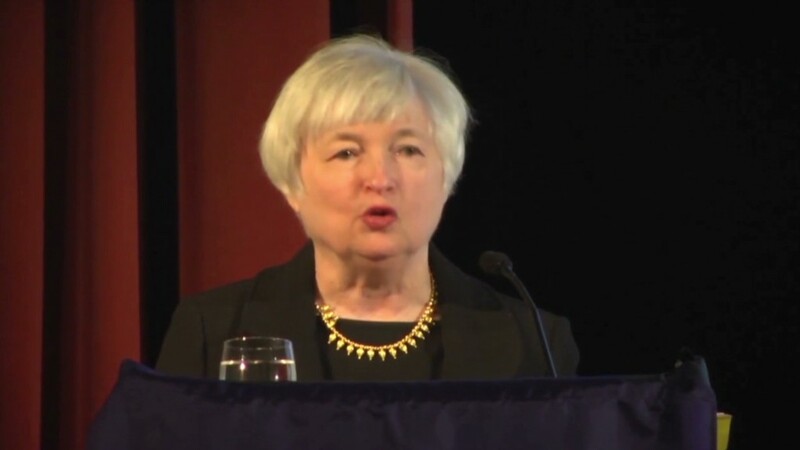 With the conflict fears easing, the three major indexes all ended the week up about 1%. Stocks are approaching the five-year anniversary of the starting point of the current bull market. While some investors worry that stocks are overdue for a pullback, bulls say there's more room to run. Earlier Friday, investors were encouraged by the fact that the U.S. economy added 175,000 jobs last month, an improvement from January and ahead of economists' expectations. The unemployment rate ticked up to 6.7%, from 6.6% the prior month as more Americans joined the labor force. The pickup in hiring is a good sign given that economists and investors have been worried that weak job growth in December and January may be the start of a more sustained economic slowdown, said Jim Baird, chief investment officer at Plante Moran Financial Advisors. The improvement also provides the Federal Reserve, which has begun scaling back, or tapering, its bond buying program by $10 billion a month, with more reasons to continue down its planned path, added Baird. As investors made bets that the Fed will taper again at its meeting later this month, they dumped Treasuries, pushing the 10-year yield up to 2.8% from 2.73% late Thursday. Bond yields and prices move in opposite directions. And rates often go higher when economic data is improving. Aside from the jobs report, investors are also keeping tabs on the latest earnings. Foot Locker (FL) rose after the athletic apparel retailer reported stronger-than-expected results, including a 5.3% jump in same-store sales. Shares of Nike (NKE) gained ground as well. Big Lots (BIG) surged after the closeout retail chain posted slightly better quarterly revenue. 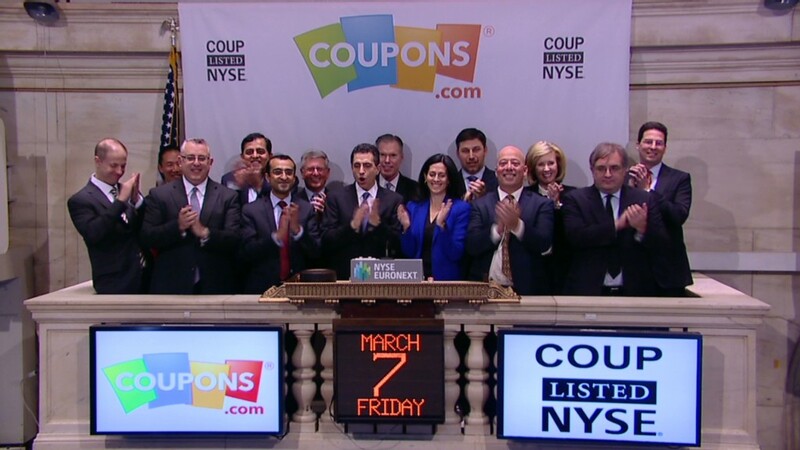 Shares of Coupons.com (COUP) almost doubled on their first day of trading Friday. The online coupon company sold shares at $16 apiece in its initial public offering late Thursday, above the expected range. Some traders said the huge run-up reminds them of the dot-com bubble. "$COUP This is vastly overvalued now.," said Caviar. "This frenzy reminds me of 1999. Be careful." Another trader said this kind of surge is a sign that the broader market may be near its peak. "$SPY $COUP we must be near top," said chart_gazer. "Coupons.com IPO today up 93%, market cap +billion dollars. Insanity." European markets and Asian markets finished the day mostly lower. But Japan's Nikkei closed with a gain of about 1%.